Dating Site to Meet Russian or Ukrainian Women Seeking a Life Partner. Dating site offering quality services for serious men who are looking for a Russian or Ukrainian bride. 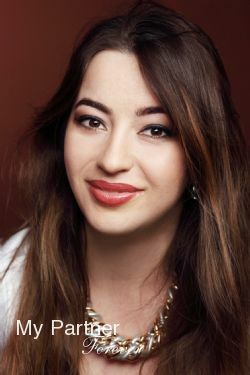 Get in contact with beautiful girls from Belarus, Moldavia, Russia or the Ukraine who are looking for a life partner. In this page, we are suggesting the steps to follow in order to make the best use of our site and services and to reach you goal: to find a charming Russian or Ukrainian bride. Of course, we don’t think that this method is the only one that can bring success, but by our personal experience and by the testimonials shared by our clients, this method generally brings the expected success. Generally speaking, it is important to establish our matching criteria, to not rush in the process and to follow our plan. Remember that among the thousands of single Russian featured on our site, there are probably hundreds who meet your matching criteria, and vice-versa, and that situation is not likely to change in a near future. Take the time to create your profile in a way that will inform as precisely as possible who you are and what you seek in a life partner. Upload several recent and good quality pictures of yourself on your profile. These pictures are a good occasion to show yourself as you are every day, whether it is at home, at work or while doing your favored activities. The next step is to make your matching criteria list. Of course, everyone has his own priorities. Some put more emphasis on physical criteria while others considerate this less important. The same applies to education, work, hobbies etc. One aspect that is more delicate and that cannot be neglected is the situation with children. For sure, you will see profiles that will be very interesting in all aspects, besides the children situation that will not match your matching criteria. For sure, you will tempted to introduce yourself to these ladies but remember that the children situation is very sensitive to women and does not matter if everything else matches, this situation will not change. Another important aspect to consider is the age difference. It is true that Russian and Ukrainian women generally seek a life partner who is older, more so than women from countries of the west do. The main reasons that make them look for an older life partner are the desire to have more maturity and financial stability. Not that they necessarily seek a millionaire but they do not wish to move half way across the globe with a man who is financially unstable. That being said, it is recommended to keep the age gap at 15 years or less, even though the lady is incredibly beautiful. The next step is to select women and to send them your introduction letter. Again, it is no use to rush in the process by writing several women. It is best to write to a few women and wait for the reply. Whether the lady is interested or not, you will have her reply. If she is not interested, you will be notified of such and the credits used to send her your introduction letter will be reimbursed to your account. If she is interested, you can get her reply within the following hours of within a few days, depending on time zone differences, on her availability in regards of work, studies etc. One thing is for sure, you will get her reply. The next step is very important, as every step is. The reason: you are getting replies and most likely, you feel like answering them all right away. We recommend taking the time to analyze each letter and to reply only those from who you feel a true interest from the woman. Here are some benchmarks you can use for this evaluation: if you wrote a well-structured 500 to 700 words letter, you deserved to receive a similar reply. So, think twice before following up on a 100 to 200 words reply – even if the girl is beautiful. Other benchmarks: did she read your whole letter? Does her reply letter make allusion to what you wrote her? Did she answer your questions? Does she asks you questions other than « what kind of weather do you have these days?”. If you did not get replies that deserve to follow-up, go back to the previous step and send your introduction letter to other women, who you keep selecting with your matching criteria. Once you will have established a good relationship with one or a few women, we suggest that you invite her to meet you on Skype that will enable you to talk to each other while seeing each other at the same time, which will bring another dimension to your relationship. Of course, to communicate well, it is interesting to speak a common language. Note that not too many people speak good French in Russia or the Ukraine. However, the knowledge of the English language is more common. So, it is an asset if you speak good English, or at least that you can get communicate in this language. If it is the case and the same for the lady, no need for an interpreter. If the lady cannot communicate in your language or in English, you simply need to ask for the help of an interpreter while you invite her to meet you on Skype. The interpreter will by her side and will translate both ways. You have developed a good relationship, or a few good relationships, and common interest keeps building. As every women, Russian women like flowers. It is now time to send her some flowers or a gift with a short note that will not leave her indifferent. Note that you will receive a photo of the lady while she receives your flowers or gift. As you know, chemistry and love are felt while we are together, face to face or hands in hands. So, the next step is to plan to meet her. Once you agreed on the dates, go on her profile page and follow the link “Plan a meeting with me”. This will confirm the meeting and you will have the possibility to book other services offered by her marriage agency to help you during your whole stay. Their services include airport pick-up and drop-off, lodging, the services of an interpreter, a guided tour of the city etc. The day has come and you have your first meeting. If this first meeting is a success, needless to say that you are free to meet again, with or without the help of the agency. If, for any reason, this first meeting is not a success, it is not a problem. The owner of our marriage agency will offer you to meet other ladies who could very well match your criteria and vice-versa. Our statistics show that more than half of the first meetings were a success and that more than half of the men for who the first meeting was not a success had excellent meetings with other ladies from the agency et developed a relationship with one of these ladies. How and Where to Plan the next Meeting? You and your charming Russian woman are now in love. Naturally, you would love that she can join you in your country so you can spend time together, learn more about each other and of course, that she can see what is life environment. You probably thought about this from the beginning of the process and evaluated that the chances of her getting a visit or tourist visa are not so great. However, there are other places where you can spend time together. First, you could visit her another time in her country. This will not only enable you to get to know each other better, it will also enable you to meet her family and friends. You can also plan a vacation in a country where she can easily get a visa. Among these countries, there are Cuba, the Dominican Republic, Turkey, Thailand and Egypt, to name a few. According to your own country, it may be possible to invite her with a Fiancé visa. If you country does not offer this possibility and she cannot obtain a visit or tourist visa, the next step is likely to get married. After all, isn’t what brought you in this process, to find a charming wife to spend the rest of your life with? The wedding can be celebrated in a neutral country, but again, the best place to get married may very well be her own city. Next step: the immigration process. You need to contact your own government to inquire about the procedure. You need to apply to invite your spouse to join you and it may be that you will need to sponsor her for a period of time. She needs to communicate with the nearest embassy or consulate of your country from where she lives to apply to join her spouse. Depending on your country’s immigration regulations and delays, this process can be finalized within a few months to several months. These steps can seem as taken from a fairy tale, but it worked for us and for many other couples. If you firmly believe in the family values and you cannot find a life partner who shares these convictions within your own country, remember that thousands of Russian women are in a very similar situation as you are. Here is a true opportunity to find happiness!